As a tradie business owner do you feel the harder you work the less profit you make and less time you have? Do you want to build a business that can earn more and have you working less? Do you find it easier to do the job instead of working on the business? 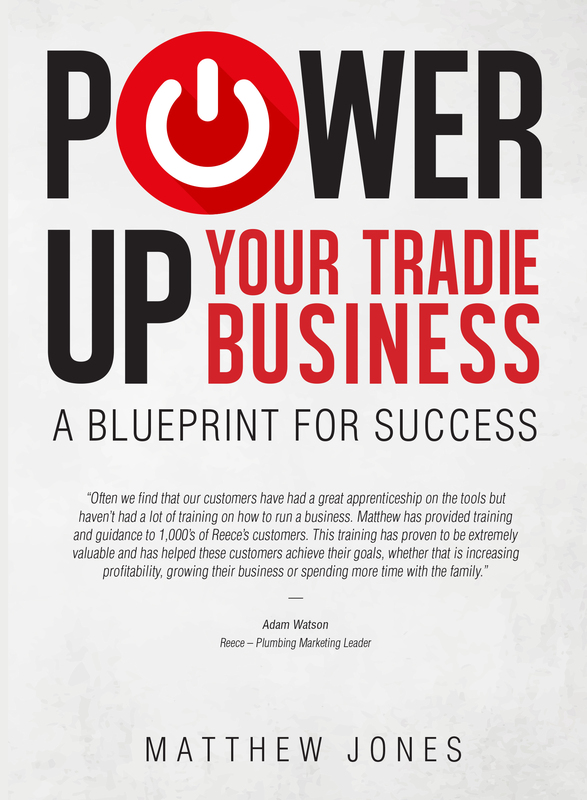 Finally, a book demystifying business to provide tradies with a highly profitable and proven ‘Blueprint for Success’ four-stage framework. Power Up Your Tradie Business identifies the common mistakes that are enslaving business owners to the job, and learn step by step how to create a business that works for the owner delivering personal wealth while providing a lifestyle of choice. Defining who you are, the profit and lifestyle you want, and how to get there. Measure profit performance drivers that will guarantee results. Make educated decisions to attract great clients and great talent. Attract great opportunities to power up performance. Matthew Jones is a tradie, author, business performance expert and entrepreneur with a unique, 25-year business career – he is the authority at helping tradie business owners earn more, work less, and achieve a great life, having trained over 5,000 businesses.